La Citadelle Gallery, The Arboretum of South Barrington. This is disappearing America. The lunch bucket values, the blue collar sacrifices of families that were willing to save and work each day with unshakable pride and determination. When you look at the photographs by Mark Zurek, you are immediately pulled back to your childhood memories. Trips down the road. 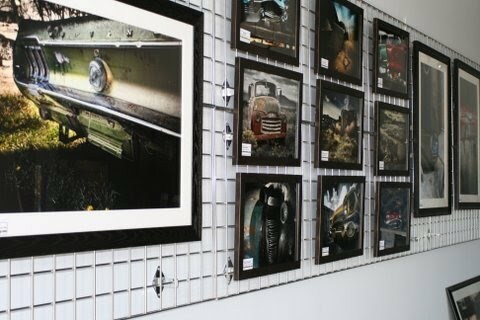 They are great photographs of cars, trucks, motorbikes. Different perspectives: all weather, every light condition. Awed by their stature, architecture and graceful lines, they rest in a place of honor... Mark calls them “Noble Beauties”! Intermingled with the old, is some new: photographs of Mark’s recent visit to Cuba. Each photograph tells a unique story. A story about man and machine, life and love.